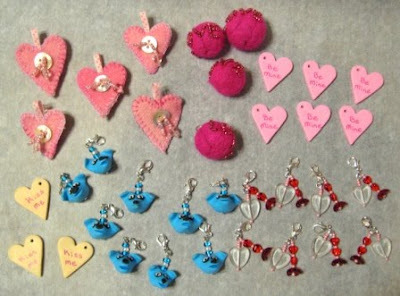 Here is a photo of many different charms I have made in the last month or so. A few of the charm swaps I am in are Valentine's Day themed. The little blue puppies are for a Kawaii themed swap. I am off to work on the next batch of charms.